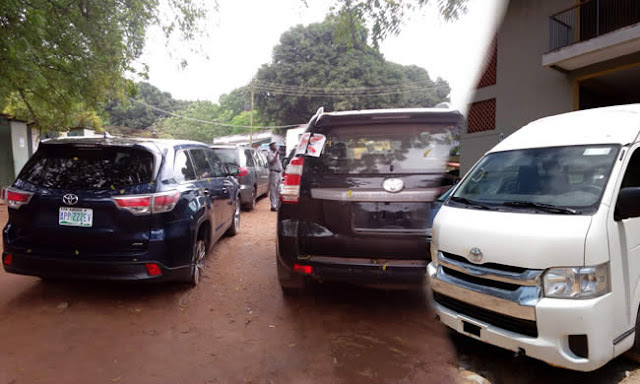 more than 19 official vehicles it as of late recouped for the National Population Commission (NPopC). The vehicles were recuperated from former officials of the NPopC who professedly carried off them after their tenure in office. The Chairman of the board, Mr Okoi Obono-Obla, gave over the vehicles to authorities of the commission at a concise service. Obono-Obla said the recovery followed a tip-off by a member of staff of the commission to the panel in March. He noted that the commissioners were not supposed to leave with the official property having benefited from the government’s monetisation policy. “But because Nigeria was a very corrupt country until the coming into power of President Muhammadu Buhari, they went home with those vehicles. “If it were the Nigeria before May 28, 2015, they would have got away with it, thereby denying Nigerians their use. “The vehicles were meant for operations of the National Population Commission, but some very unpatriotic public servants took them home. “So, we swiftly commenced the investigation and recovered the vehicles from all the previous commissioners of the NPopC”, he said. NAN reports that the panel chairman said this should be a warning to all other public servants, including himself, to desist from converting official property to personal use. While noting that all public property belonged to the government and people of Nigeria, he said the Buhari government would not tolerate such acts. “I commend that very patriotic staff of NPopC who gave us this information, and I urge Nigerians to take advantage of the whistleblower initiative of the government of President Muhammadu Buhari. “I call on all other patriotic Nigerians to give us information about those who have taken government property home. “And I can assure them we will recover whatever has been taken away by unpatriotic public servants and other people,” Obono-Obla said. Responding, the Director of Census in NPopC, Mr Liman Baba, who received the vehicles on behalf of the Chairman, Mr Eze Duruiheoma, commended the panel for its “good job”. Baba said the recovery would go a long way in easing the challenges of logistics facing the commission.